Former State Senator, Ron Calderon, Was Released From Custody Yesterday. He Took Bribes From Former Pacific Hospital Owner, Michael D. Drobot. Ron Calderon, the former California State Senator who took bribes from Michael D. Drobot, the former owner of Pacific Hospital in Long Beach, was released yesterday from a half-way house in Long Beach after serving exactly two years of his three-and-a-half year prison sentence. Ron Calderon had been bribed by Michael D. Drobot to work to secure legislation that would preserve the spinal hardware pass-through. Drobot was exploiting the California Workers’ Compensation system for tens of millions of dollars during the late 1990s up until around 2013 by egregiously inflating spinal hardware and passing it through on the claim. He pretended to procure the hardware from a third-party company that he secretly owned or in which he had a financial interest. Thomas Calderon, Ron Calderon’s older brother, was laundering money for his brother Ron. Thomas served a four-month prison stay on a one-year sentence. 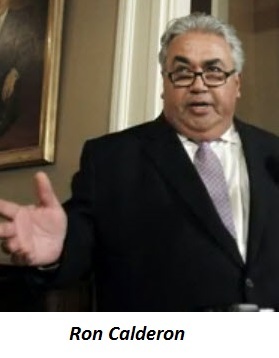 Ron Calderon took bribes from others besides Michael D. Drobot. He accepted money from individuals he thought were small budget film producers in exchange for seeking legislation for tax breaks for producers in their budget range. But the producers were in reality FBI agents. On June 4, 2013, the FBI raided Ron Calderon’s offices in Sacramento. An FBI affidavit was published online by Al Jazeera America on October 30, 2013 stating Ron Calderon accepted about $88,000 in bribes. In November of 2013, he was suspended from his Senate committee assignments. On February 21, 2014, a federal grand jury indictment came forth charging Ron Calderon with 24 counts of fraud, bribery, money laundering, and false tax returns. He surrendered to authorities and was released on a $50,000 bond. His trial was scheduled for April 22, 2014. The California Senate gave him a choice to resign or take a leave of absence. He took the leave of absence until he was term limited out-of-office later that year 2014. Ron Calderon could have faced a prison term of up to a maximum of 396 years if convicted on all charges. But on June 13, 2016, he agreed to a guilty plea and made a deal to simply be convicted of mail fraud. He got sentenced to 42 months in federal prison in October 2016. He began serving time at the Federal Correctional Institution in Sheridan, Oregon in January of 2017. He was released in July 2018 and transferred to the halfway house in the Long Beach area to serve the rest of his sentence. He was scheduled for release this month, 18 months less than his 42 months sentence, if he met certain conditions. His lawyer, Mark Geragos, petitioned the Bureau of Prisons for an earlier release of January 2018. Obviously, he did not prevail. The Calderon family was a powerful political dynasty that broke apart with two brothers falling from grace. Ron Calderon, born in 1957, and his brother Thomas, born in 1954, perpetrated bribery and money laundering and have now both served prison time. Oldest brother, Charles Calderon, born in 1950, has a stellar record without blemish. He was in the California State Assembly throughout the 1980s and was a state senator throughout the 1990s. In 1996 he became the state senate majority leader. He served as a majority leader in both the senate and the assembly. Charles Calderon’s son, Ian Calderon, is a 33-year-old who now is an assemblyman for the 57th district in California and is a majority leader. The Calderon brothers, and the next generation of Ian Calderon, have all been Democrats and have served the districts east of Los Angeles. Those districts consist of Whitter, La Mirada, Bell, Bell Gardens, Commerce, Montebello, Norwalk, Santa Fe Springs, South El Monte, Huntington Park, Hacienda Heights, and probably a few other adjacent enclaves. 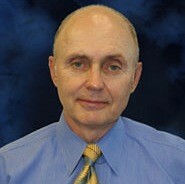 Michael D. Drobot owned Pacific Hospital from 1997 to 2013. He sold it in 2013 to Molina Healthcare which became College Medical Center. In February 2014, he was charged by the FBI in a criminal information. He copped a plea, became a government witness, and agreed to fully cooperate with the investigation that has been dubbed Operation Spinal Cap.